Last year we announced our new kid: Viral Content Buzz [Update: Currently ViralContentBee.com]. We’ve been diligently going through (and beyond) the To-Do list since then and even though the project can be considered pretty established now, I still have my wow moments with it. One of them is a little case study of how VCB is able to revive a pretty dead site. I have a little website which I don’t have time to focus on. It was started as a hobby and sadly, times got too busy too fast. All articles are shared through official social media channels. The site wasn’t doing well in Google and it was doing pretty average on Twitter and Facebook. 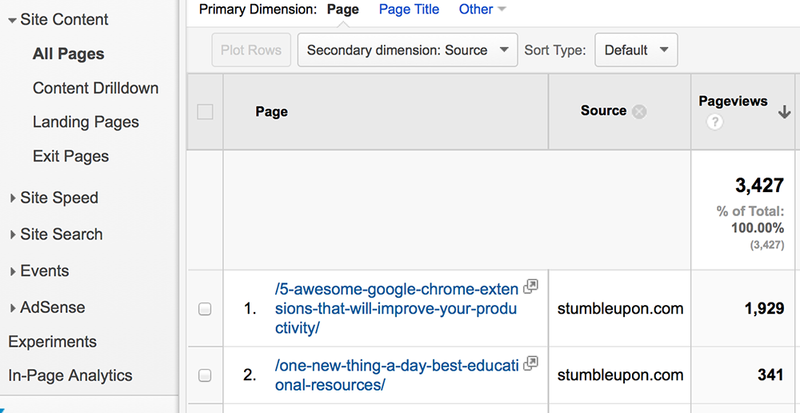 A few weeks ago I submitted my own article to Viral Content Buzz and it worked! As you can see, it was pretty-well seeded on StumbleUpon and if you look at its StumbleUpon reviews, it got quite a few natural likes there which must have meant it worked! No… Whenever you see someone call their site / service like this, run! I say, this little case study is perfect illustration of how Viral Content Buzz should work: It just seeds a couple of initial votes and let your content quality do the rest for you! The better content, the more odds you have to get more shares and likes! Use the platform to put your best content in front of influential social media users. It’s tough to be alone and website owners usually are. What works? How to get attention? You can’t just build something and wait when it’s discovered. The Internet is huge – you can’t hope your gem will be found by accident (I mean, there are accidents of course, but come on! that’s a poor marketing model)… Viral Content Buzz is the most “unintrusive” way to “pitch” your content to social media users. Mind that we encourage our users to be selective, so if they share your articles, that must mean you are on the right track! ViralContentBuzz is not an automated machine… Nor it is supposed to *fake* it that your pages enjoy some social media love. It’s the way to get discovered and move forward accordingly (if you deserve it). It’s meant to show you the direction. Very cool case study showing how a site with virtually no traffic picked up after using VCB. I have experienced something similar when submitting one of my old neglected sites. More importantly I have been using VCB to help promote all content marketing efforts we do on behalf of clients and guess what? That’s also working extremely well. But like you pointed out it only works as well as the content is. Since users only share based on the merits of the content alone there is sort of a “content Darwinism” type of effect where content only gets shared if it’s worthy of being shared. So the system is fair and works great if users are willing to do the work of creating awesome content that people will want to share. What a fantastic case study, Ann! How ingenious and very accurate. I’ve heard of VCB before (I first discovered it via a banner ad on BasicBlogTips.com) but I’ve not actually registered . After reading this neat case study, I’ll definitely be looking into VCB to see how it works for me and my blog. This isn’t my first time visiting your blog, Ann, but this is my first time leaving a comment. I just wanted to say that you’re doing some great work with all the amazing networks you’ve developed to help us bloggers. Thanks for everything and your continued efforts. I’ll be sure to share this case study with my social circle. Thanks for all your support, Ti. I know we haven’t talked to each other much but I’ve been seeing you on MyBlogGuest and I so much appreciate your support and feedback here! I have been using Viral Content Buzz and I do notice that my content is getting shared. I think it is a great tool for traffic. I haven’t been consistent in using it as much as I should but I am going to get back on it because when I do use it I see that I get results. Thank you for sharing these statistics with us! I understand that Viral Content Buzz is not an automated application. I just want to clarify are contents posted here go for quality check before approved (I guess it should be), and if so, what are the parameters. Really an awesome case study you shared with us. I was really interested to know, and i am now here! I never used Viral Content Buzz before but i will try. Would love to see you back, Jason! Sorry for bumping this years old post, but after readying the case study, I can’t stop myself. I am so influenced that I went to VCB site, and watched the Youtube video to understand how it works. I must say; Nice logic! Share others content to get credits, and then use the same credit to promote your own content. Just wanted to say thanks. keep up the great work. Thanks! I hope you’ll enjoy VCB! I’m sure that creating viral content is not just luck. You could be lucky to find the necessary ingredients. Fortunately, these elements are not secrets. Jonah Berger’s book already revealed them, so creating something remarkable is rather science than luck. I think the trickiest part is promotion, this is where most of the people fail. Wow. VCB is really a good place to promote a blog post all for free. 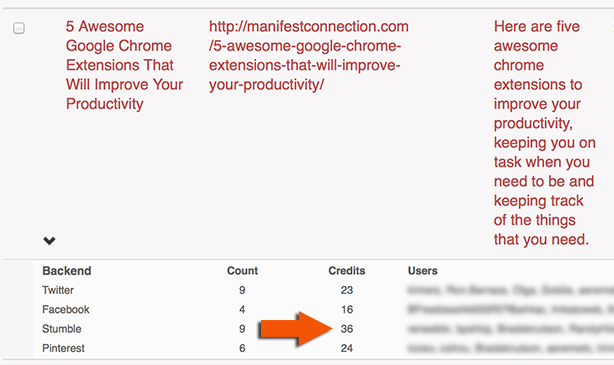 I have been using them, and my traffic has really increased, I recommend other website / blog owners using VCB. 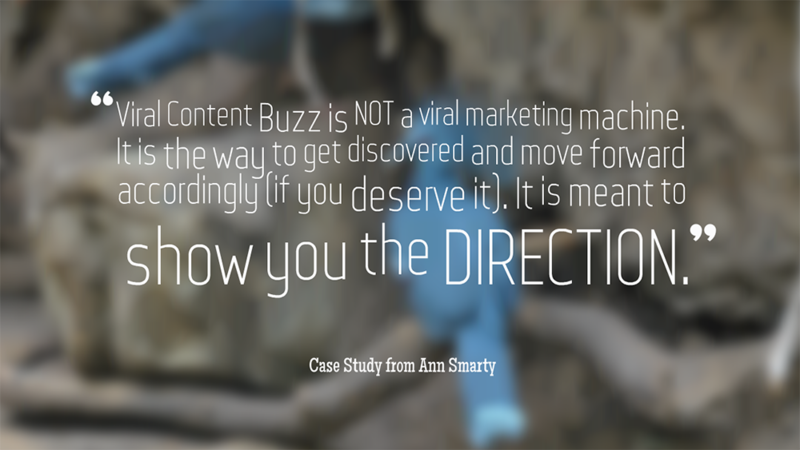 I have tried viral content buzz before.It is a great and legit way to increase social sharing. Hi! Impressed with your case study. I haven’t used Viral Content Buzz before but after reading this one I’ve planned to start using it from now on. Hope to get some good results… Thanks! VCB seems pretty interesting. Any similar sites like this Ann? Amazing all of these content platforms that you have created. I have my own travel content business but nothing on the scale of what you have built here! Congratutions, you’re amazing ! Thanks for the case study Ann. Very timely. I am also encouraged by the testimonials here. After 2 failed Blogs, I have just started a third and I am believing that I can partly count on VCB for viral promotion. Good thing, our initial stories are emanating from Africa,where there’s lot’s of untapped prospects. Our outlook is however global and whilst we are busy analysing health related information/gossip and news, we hope to build a thriving “Digital Advertising & Marketing Communications” Platform. Nothing goes viral by simple chance. Social Media Marketing is a trade that has to be groomed. Thanks once again for the opportunity to be promoted to the world. 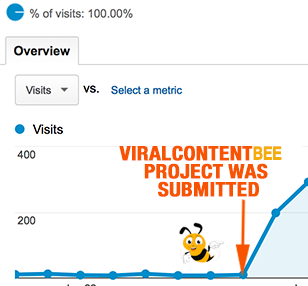 Wow, such an increase in traffic just by submitting through viral content bee. I didn’t realise stumbleupon still sent the traffic you obtained. I syndicate my posts to twitter and facebook and get good traffic through them but this seems a easy way to build a constant stream of visitors. By posting only tour besst content. Thanks for sharing your case study with us.I was searching for only some new SEO techniques on google and come here by chance only ,but now i am felling lucky to be here. I actually didn’t know about this and I’m definitely gonna give this a try. Interest ‘Case Study’. ‘Viral Content Bee’ is good service. Viral Content Bee is very helpful for bloggers. Though, I have came to know about it’s old name from this page only. Any similar sites like this ??? Is VCB free to use or a paid service? Submitting my content on Viral Content Buzz went super easy and it generated high quality traffic for my online store. The best thing was; low bounce rate and some conversions too. So far, the results are beyond my expectations. I was able to get some decent traffic using viral content buzz. It is really a great tool to increase social sharing.